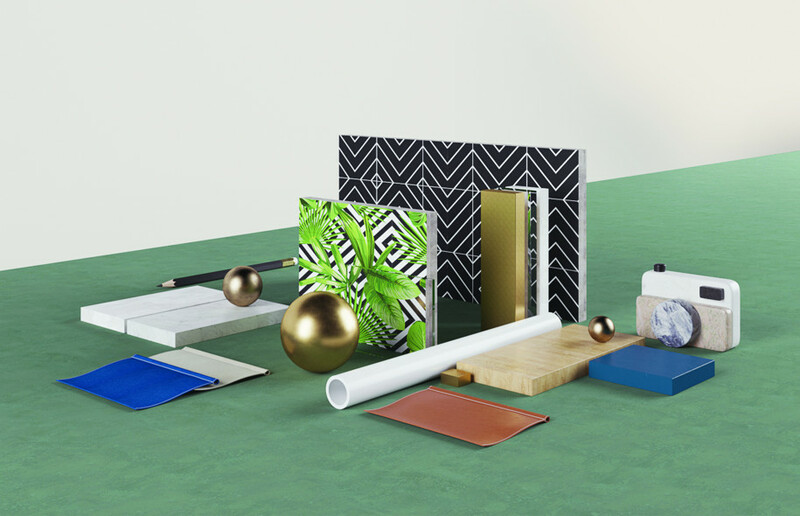 Archipneuma – an Athens based multidisciplinary studio focusing on marketing visualization, architecture, interior design and product design – designed Green Parrot Café, a tropical addition to the cafe bar restaurant scene in Athens. 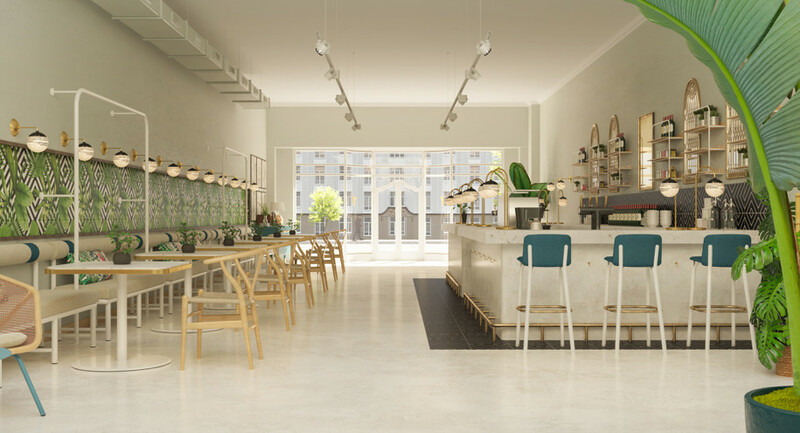 Green Parrot Cafe, designed by Archipneuma, brings an exotic and green design to the interior space of the former local Athens Cafe Bar. Entering the space from its white glass door 60’s French style facade, you can already feel the fresh and breezy atmosphere of the Green Parrot Cafe. 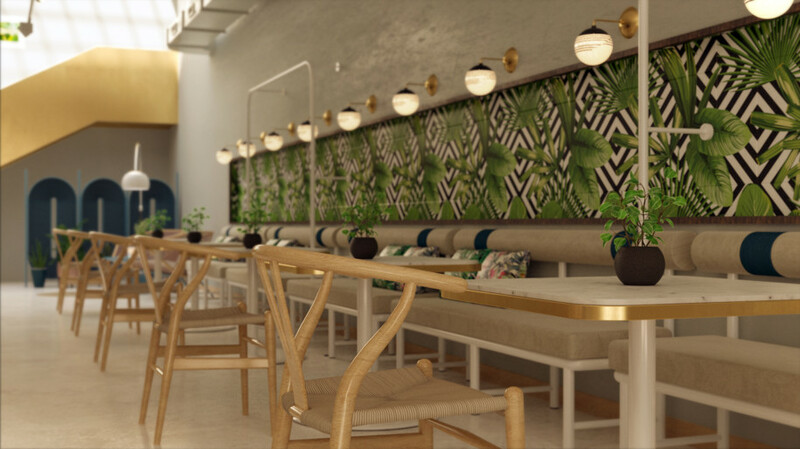 It is a modern minimalist tropical theme cafe-bar restaurant with a combination of eclectic 60’s style furniture creating an elegant vibe. 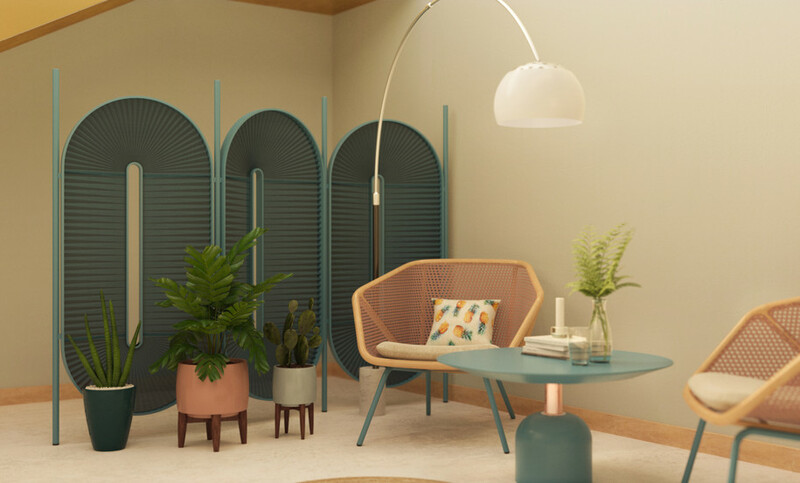 The neutral-pale colors of the walls and floor balance out the vibrant green and blue shades that naturally freshen and energize the space, in a contrast that keeps the overall feel cool and calm. 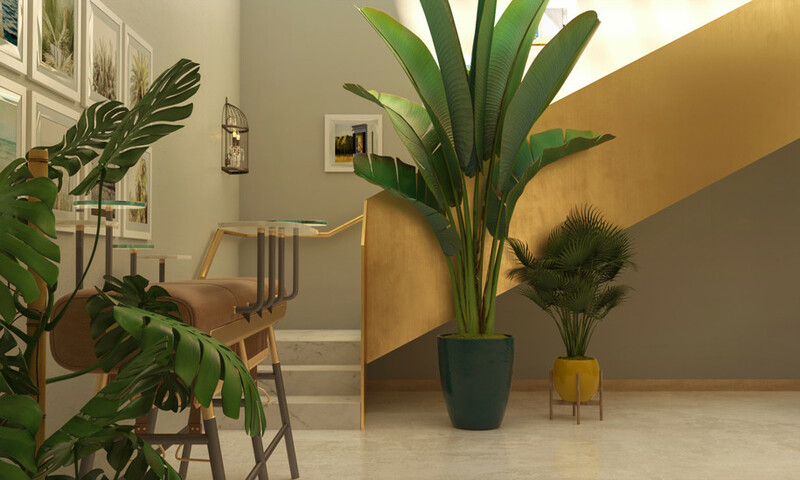 Splashes of gold metals are used all around, from the table linings, lamps and cage-like mirrors to the statement golden stairway, along with the marble top bar and tables; all giving a sleek and classy character. 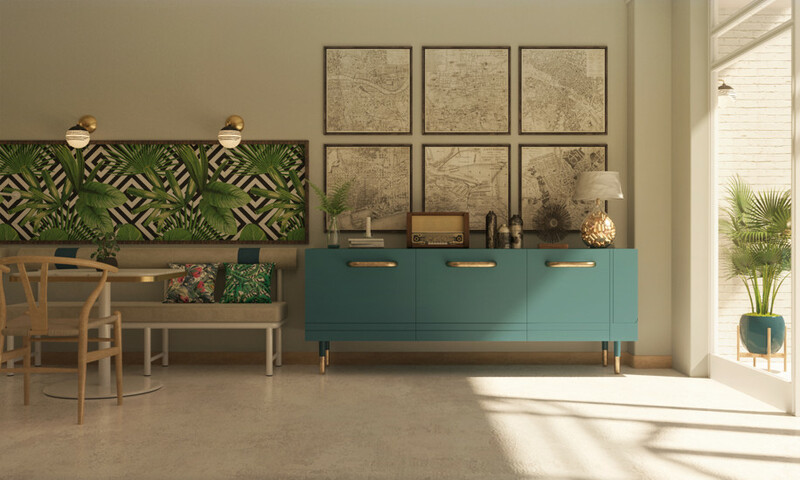 A mixture of elegant furnishings in bright modern colors, such as the blue sideboard, fabrics and accessories printed with tropical and floral motifs, tropical plants and materials, natural textures in the chairs, create a modern tropical look. Did you like Green Parrot Café? 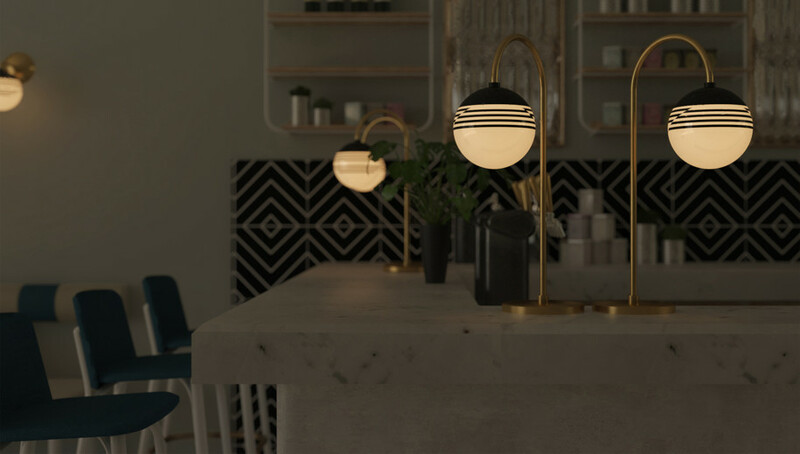 See also LIÒN, a sophisticated restaurant and cocktail bar in the heart of Rome by COLLIDANIELARCHITETTO, here!